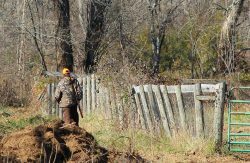 A recent NPR report examined the link between declining hunting participation nationally and funding deficits for state wildlife agencies. According to NPR, only 5 percent of Americans hunt currently. That’s only half the percentage of the population who hunted 50 years ago. The number of hunters will likely continue to decline as baby boomers retire their rifles and shotguns as they age. Hunters and fisherman contribute a lion’s share of funding for wildlife conservation through taxes on rifles, ammunition and fishing equipment in addition to the license and tag fees paid each year. Gun sales are booming in recent years but have not made up for declining hunting numbers. In Montana, hunting participation is about twice the national average. Still Montana Fish, Wildlife and Parks has faced funding issues. The NPR article mentions several possible solutions. Should we focus on recruiting more hunters and fisherman? Should outdoor equipment for bird watchers, cross country skiers and hikers be taxed for wildlife conservation funding? Or Maybe a combination of efforts is called for.